Affordable Van and Car Service Centre. The skilled local mechanics in our garage are second to none and take great pride in their work should it be a routine van service or a luxury car that requires specialised serving. We welcome both private and business users offering cost effective garage facilities. We do however specialise in vehicle fleet maintenance covering cars and vans providing servicing, PSV, MOT preparation, repairs, light engineering and diagnostics. 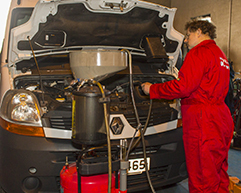 All parts and fluids used at NI Vans either match or exceed manufacturers recommendations for the vehicle being repaired or serviced. Maybe you need a vehicle diagnostic carried out to eliminate a problem engine management or airbag light? 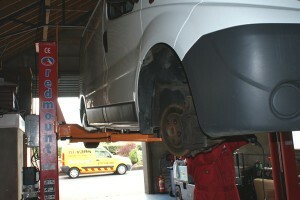 Our high end diagnostic systems cover 99% of all vans and cars on the road today. No job is ever too small at NI Vans Servicing Centre, you can always be sure of a professional and courteous experience whenever you entrust your van or car to our workshop.